Whether you have a personal or business PayPal account you want to know how to get money out of your PayPal account once you come to know it has landed in PayPal. There can be your slots winnings or Jackpot cash prize in your PayPal account and you are desperate to have it. Before you come to know the ways and means to get money out of your PayPal account, note that very few online casinos allow PayPal as one of the withdrawal options to get back your funds. But other online payments that you receive in Canada at paypal can be taken out easily from PayPal. It’s simple to withdraw money from your PayPal account. You can transfer money directly into your linked bank account, use your PayPal Debit MasterCard, or have PayPal mail you a check. The most popular way to withdraw money from your PayPal account is to transfer the money directly into your bank account. Log in to your PayPal account, enter the amount you want to withdraw, and select the bank account to receive the money. PayPal securely transfer the amount from your PayPal balance into your bank account at no cost to you. The amount that is estimated arrives to your bank in one business day and transfers made after 7:00 PM ET or on weekends or holidays take longer. Note that all transfers are subject to review and could be delayed or stopped if PayPal identify an issue. The minimum you can withdraw is $1.00 CAD/USD. Make sure that the name registered on your PayPal account matches the name on your bank account. Withdrawing to your bank using an eligible debit or prepaid card is a faster way to withdraw money from your PayPal account. The amount arrives in about 30 minutes. Note that all transfers are subject to review and could be delayed or stopped if PayPal identify an issue. There is a $0.25 fee to withdraw money using your eligible debit or prepaid card. Additional currency conversion rates may apply when withdrawing from a non-domestic currency. The PayPal Debit MasterCard is the fastest way to withdraw money from your PayPal account. If you qualify, you can use your PayPal Debit MasterCard at most ATMs to get cash from your PayPal account right away. Select Checking Account when you withdraw money from an ATM. You can also use your PayPal Debit MasterCard to make purchases anywhere MasterCard is accepted. You can withdraw up to $400.00 CAD/USD from your PayPal account from an ATM each day. Note that additional ATM fees associated with cash withdrawal and foreign payments may apply. If you don’t want to transfer money to your bank account, you can request a check. Log in to your PayPal account, click Withdraw money under your balance and select Request a check. Customers in the U.S. should receive checks within 1-2 weeks. It may take up to 6 weeks for customers outside the U.S. Note that a fee of $1.50 USD for each check is applied. How to make a withdrawal using PayPal at online casinos or Poker sites? When you withdraw from the casino and transfer to PayPal, you may want to transfer it to the bank account or back to the credit card. Here, you might be charged a service fee, which is rather nominal. Paypal is one of the most secure and definitely one of the most efficient services available. As said above there are only a few casinos that offer PayPal as an option to make a deposit or withdrawal. The first thing you need to do if you want to use PayPal for your poker transactions is to make sure that your poker website or casino accepts PayPal. Once that is taken care of, just register for a PayPal account. This is free and very easy. The next step is to register a bank account or a credit card to your PayPal account. Once this is done, you can transfer funds to your PayPal account. Coming to your poker account, just provide your PayPal details and you are all set to play. When making a withdrawal, enter the details and the amount and your amount will be transferred. Transactions usually take a day or two and some casinos can charge as much as 3% while withdrawing. When you have enough money in your PayPal account, you can withdraw it back to your bank account for free or to your credit card for a nominal charge. In addition, you can also request a check but this can cost quite a bit of money. Another suggestion would be to register for a PayPal card and top up directly to that. This can be used at merchants and ATMs all over the world. Note that PayPal can be used for poker needs all over the world except from the United States due to certain regulations. ← How can I create a Money Pool at PayPal and how does it work? August 17, 2015 Kamal Kaur Comments Off on What online casino accepts Paypal in Canada? 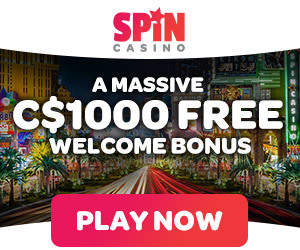 Jackpot City Casino allows PayPal as deposit option – Can I make a deposit with PayPal at this online casino? January 1, 2018 Kamal Kaur Comments Off on Jackpot City Casino allows PayPal as deposit option – Can I make a deposit with PayPal at this online casino?